Smoke detectors – According to the National Fire Protection Association, there were more than 300,000 home fires in 2013. The last thing you want is for your home to burn down while you are away or, even worse, to be caught in a home fire while you are sleeping. Protect yourself and your family by checking your smoke detectors annually. Two-thirds of reported deaths from home fires occur to due inoperable or uninstalled smoke detectors. 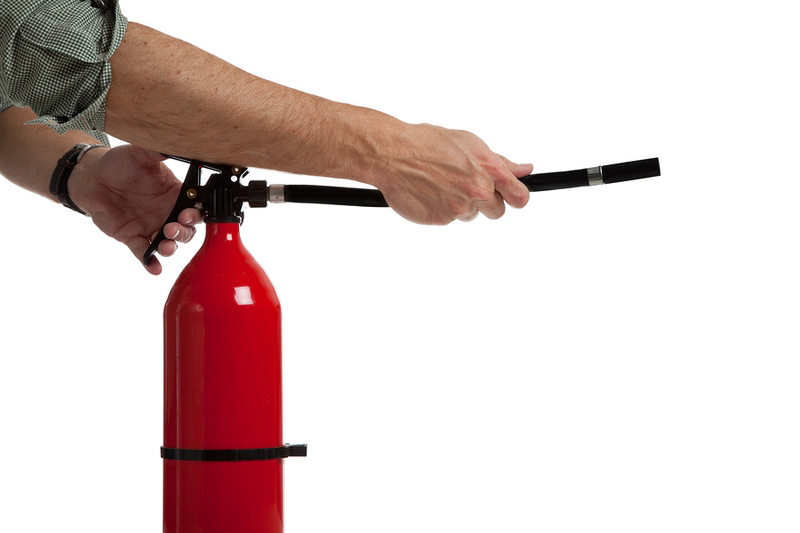 Fire extinguishers – If you do have a fire and you are at home, you are the first responder. You should have at least one fire extinguisher in your home. In fact, to ensure the utmost safety for your family, you should have one on every floor of your home and one in the garage. Check the pressure gauge on your fire extinguishers to ensure it is green. If it isn’t, then you need to replace the fire extinguisher. GFCI – Kitchens and bathrooms often have a “test” button on the wall outlets. This is a part of your ground fault circuit interrupter. It’s there to prevent people from being electrocuted by cutting off the current if its gets too high. Plug a small appliance, like a hair dryer or radio, into the outlet and press the “test” button. If the appliance does not shut off, call your electrician. If it does shut off, press the “test” button again and the appliance should come back on. Water quality – Water contaminants can be deadly or cause illness. If you drink water from a well, hire a professional to test your water source. If you are on municipal water, you can test it yourself with a drinking water test kit. 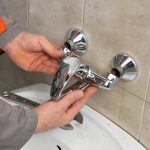 If there are contaminants in your water, notify the managers of your water source immediately. Radon – Radon is an odorless and tasteless invisible gas. It is the second leading cause of cancer and causes more than 20,000 deaths annually. You can run a short-term and a long-term radon test for radon. Experts recommend a long-term test to determine your year-round radon levels. If you don’t want to do it yourself, you an hire a professional radon tester to do it for you. Natural gas – Natural gas is not dangerous, but it does deplete oxygen levels in the home. Call a licensed professional to inspect your natural gas lines periodically. Stairs and banisters – Stairways cause 12,000 accidental deaths every year. Additionally, millions more injuries occur as a result of falls. Check your stairways for cracks or loose materials. On your banisters, try to push a tennis ball between the balusters and if it goes through, you may have a problem. Call a handyman to fix the problem. Your family deserves to feel safe in their new home. Perform these safety inspections periodically to keep your family safe. And if you want to make your next move safe and secure, call the experienced professionals at RJ Moving. We are fully insured and licensed and have all the right equipment to ensure that your move will be smooth and stress-free.